Posted by thegulfblog.com in Qatar, Yemen. Qatar is to attempt to mediate in the Yemeni conflict once more. Back in 2006-7 Qatari mediators (including the Emir, the Foreign Minister and the Crown Prince) sought to mediate a solution to the Houthi Yemeni conflict. They suggested that the Houthi leaders relocate to Doha (with a nice house and a stipend) and refrain from making any public statements as part of their proposed solution. The Qatari attempts failed. Whilst I had simply assumed that Saudi had, in some way, shape or form, interfered and scuppered the deal, apparently, the Yemeni authorities (and their advisors) thought that Qatar was trying to pursue a line of mediation overly ‘kind’ to the Houthis. Qatar have a mixed record in mediation. They succeeded in securing a very important medium term solution in Lebanon and are in the midst of mediating (with severe difficulty) in Darfur. Unlike many regional mediators (such as Saudi and Egypt, for example) Qatar can bring a high degree of neutrality to most of their mediations. Additionally, they are relatively cash rich and are willing to use their money to facilitate mediation. If, therefore, the conflict in Yemen is approaching something that might be described as a ‘ripe moment’ then Qatar may well have the attributes to bring the parties closer. The Waq al Waq blog makes an excellent point about Yemen’s “ungovernable/lawless” spaces that policy makers and journalists refer to so frequently, namely that they do not really exist. Rather, these spaces adhere to a different set of laws. I bring this linguistic distinction up because I believe it is incredibly dangerous for policymakers, journalists and analysts to operate on the assumption that these areas in Yemen are indeed “lawless.” That is not the case. But thinking that it is often leads to mistakes of policy and writing, which makes Yemen over into some sort of blank map on which the author’s fantasies and imaginings can be projected. There are laws and customs here. Just because they are not known does not mean they are not important. Posted by thegulfblog.com in UK, Yemen. This is another link to a fantastic Adam Curtis blog posting. Here he delves into the history of the Yemen and finds it something of a pivotal place with Britain’s actions there in the 60’s having direct and traceable relations to what’s happening today in much more subtle ways that simple ‘Yemen as a failed state’ narrative. 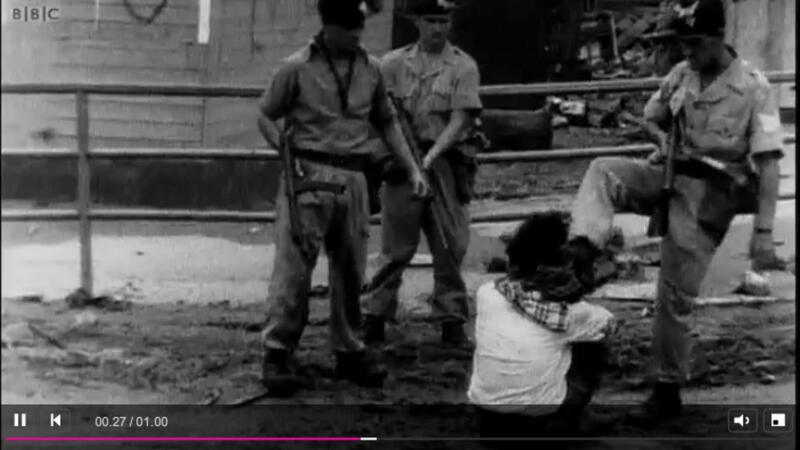 It also includes some fascinating BBC archive footage of what is decidedly not Britain’s finest hour. I am usually an ardent fan of Bruce Hoffman, one of the world’s leading terrorism experts. However, I have major disagreements with the latest piece that he has written for the Washington Post. The key issue I have with the piece is the overall tone of the article which fosters the idea of Al Qaeda as some kind of highly structured terrorist organisation with research departments, an R&D section, a hierarchy implementing long-term strategic goals and tentacles stretching around the world . My understanding of Al Qaeda is that it is first and foremost an ideology that various people attach themselves to. For sure, there are people who are putative ‘masterminds’ i.e. people who direct others and offer advice or money for attacks, but I don’t believe that these people are part of some hierarchical organisational structure with brain-storming sessions and proverbial headed notepaper. Hoffman wrote about five elements of Al Qaeda’s new strategy. First, al-Qaeda is increasingly focused on overwhelming, distracting and exhausting us. To this end, it seeks to flood our already information-overloaded national intelligence systems with myriad threats and background noise. Al-Qaeda hopes we will be so distracted and consumed by all this data that we will overlook key clues, such as those before Christmas that linked Abdulmutallab to an al-Qaeda airline-bombing plot. This makes it sound like there has been a decision made ‘on high’ disseminated to underlings to increase chatter and distract the enemy; that an actual communication has gone from the proverbial directors, down through middle management and out to the operatives in the field. What seems to be far more likely to me is that hundreds of radicals/terrorists around the world, independent of structure or orders or organisation (who may well describe themselves as Al Qaeda in the same way as a football fan from Bangkok who has never been to the UK describes themself as a Manchester United fan) are simply communicating in their own little groups. Why must some Machiavellian, evil organisation be behind this? Second, in the wake of the global financial crisis, al-Qaeda has stepped up a strategy of economic warfare. “Today, al-Qaeda threatens: “We will bankrupt you.” Over the past year, the group has issued statements, videos, audio messages and letters online trumpeting its actions against Western financial systems, even taking credit for the economic crisis. Again, this conjures images in my head of a board meeting where the Al Qaeda board of directors sit and have a chat over tea and coffee as to a long-term strategy. “Mmmm….I think we should go for a strategy of economic warfare” says one. Just because one guy – even a bonafide Al Qaeda spokesman [grumble, grumble…] – witters on about some strategic plan to bankrupt ‘us’ doesn’t mean that it is not just a simple by-product of usual terrorist tactics. Third, al-Qaeda is still trying to create divisions within the global alliance arrayed against it by targeting key coalition partners. Terrorist attacks on mass-transit systems in Madrid in 2004 and London in 2005 were intended to punish Spain and Britain for participating in the war in Iraq and in the U.S.-led war on terrorism, and al-Qaeda continues this approach today. During the past two years, serious terrorist plots orchestrated by al-Qaeda’s allies in Pakistan, meant to punish Spain and the Netherlands for participating in the war on terrorism, were thwarted in Barcelona and Amsterdam. Any terrorist with half a brain could work this out. This is logic 101. Why – again – does this obvious logic need to have been necessarily sent down from on high? Fourth, al-Qaeda is aggressively seeking out, destabilizing and exploiting failed states and other areas of lawlessness. While the United States remains preoccupied with trying to secure yesterday’s failed state — Afghanistan — al-Qaeda is busy staking out new terrain. The terrorist network sees failing states as providing opportunities to extend its reach, and it conducts local campaigns of subversion to hasten their decline. Over the past year, it has increased its activities in places such as Pakistan, Algeria, the Sahel, Somalia and, in particular, Yemen. If you are a terrorist and you want space, time and relative freedom to plan, construct and launch your attacks are you going to do this in Europe or a relatively stable Arab country or a country where there is next to no law and order? The choice is obvious and there does not need – again! – to have been some strategic decision taken on-high to relocate “all our assets” to, for example, Yemen.Hoffman also – unforgivably – describes Major Nidal Hassan’s attack at Ford Hood as part of Al Qaeda’s growing variety of attacks which to me is as egregiously wrong as concluding that Saddam Hussein was responsible for the 9/11 attacks. He also finishes with a few useless platitudes and truisms. Al-Qaeda needs to be utterly destroyed. This will be accomplished not just by killing and capturing terrorists — as we must continue to do — but by breaking the cycle of radicalization and recruitment that sustains the movement. It seems to me that Al Qaeda is attributed most attacks that occur in the Western hemisphere and practically every attack that targets Westerners even when the evidence that Al Qaeda ‘did it’ often stems from no more than the protagonist ‘visiting Yemen’ for a few days/weeks/months. The threshold for an attack to be deemed to be ‘by Al Qaeda’ is painfully low. We need to resist the urge to pigeon-hole, tabulate and name every threat in a Western-inspired, orthodox typeset but instead adapt our thinking to understand how things actually are rather than how we think they are. Posted by thegulfblog.com in American ME Relations, Central Asia, Iraq, Yemen. By 2008, nonmilitary [US] aid to Yemen had dwindled to less than $20 million. Afghanistan is expected to receive $2.7 billion a year in nonmilitary aid, Pakistan $1.5 billion and Iraq $500 million. The ever-dependable Simon Henderson over at the Washington Institute for Near East Policy has a few useful notes in his latest policy brief. Aside from a brief recap of the basics of Saudi succession (there is no-one better on this topic) Henderson briefly discusses the fall out of the recent floods in Jeddah and there’s also a word or two about their Yemeni conflict. The whole piece is well worth the read, but here are the key interesting bits, as far as I see it. The Red Sea port of Jeddah is a case in point. The city suffered catastrophic floods on November 25, brought about by torrential rain after a period of drought. (The government had called on the Saudi people to pray for rain.) At least 118 people died, although some estimates put the toll at several times this, with one claiming more than a thousand. Critics see the magnitude of the catastrophe as correlating directly to insufficient investment in public works. Among the places badly damaged were parts of the new, state-of-the-art King Abdullah University of Science and Technology, a pet project of the monarch. In Jeddah itself, the crisis was worsened by lack of drains, even on newly built roads. The sewage system in much of the city is antiquated, relying on basement tanks that are emptied regularly and the contents trucked to Musk Lake (labeled on GoogleEarth), an artificial lake in the hills several miles east of the city. Fears that the earth walls of the lake could collapse have led to the panicked flight of some residents in the likely path of the estimated 30 million cubic meters of mostly untreated sewage. On December 10, it was reported that the Jeddah municipality has banned further dumping into the lake. 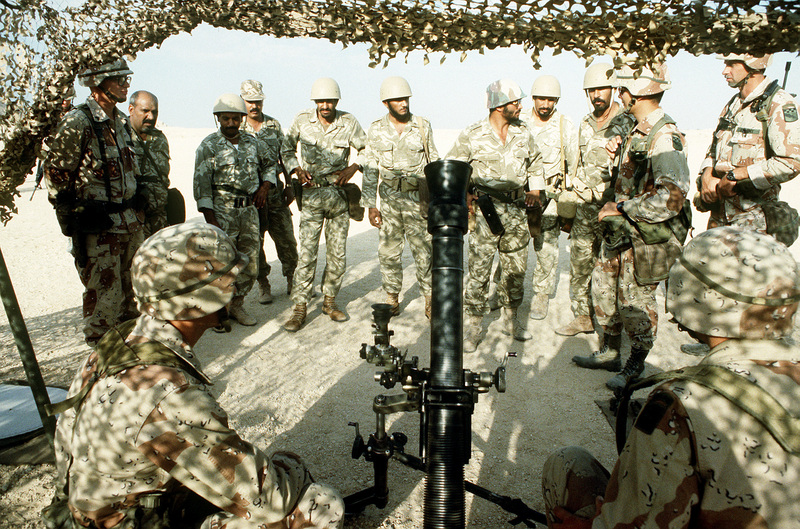 Despite claims of successes, the fighting has not been going entirely well for the Saudi forces. At least one small group of special forces has been wiped out by rebel units, and Saudi officials have released the names of nine missing soldiers, including a lieutenant colonel. Online reports indicate that some of the missing have been found in Yemeni territory, a contentious issue because King Abdullah has said no soldiers will cross the border. Posted by thegulfblog.com in The Gulf, Yemen. You will not find a better or more knowledgeable article tying together the recent assassination attempt in Saudi Arabia (the bum bomb) and the mess currently unfurling in Yemen than the one in the National by Kristian Ulrichsen. Academic journalism at its best.